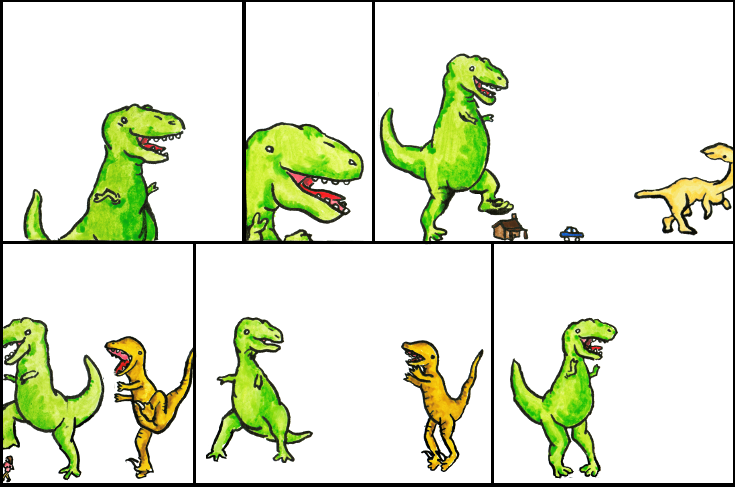 Dinosaur Comics - September 21st, 2007 - awesome fun times! September 21st, 2007: My street artist friend Posterchild (who you may know from his Mario question blocks) asked me if he could remix one of my shirts, and I was all, "YES PLZ". He's got the remixed shirt on his site now. Check it out! The slogan comes from a reader who emailed me a year or so ago (I searched and couldn't find the email) telling me about his brother who was trying to describe my "Not all dreams can come true" shirt to a friend, but could only remember it as "There is no hope at all." Awesome.